Open your CSD Credit Union checking account. Whether you're buying a new home, changing jobs, getting promoted, starting a business, or raising children, you'll run into income tax implications. But that doesn't always mean you'll owe more to the federal government. If you plan ahead, you can make decisions that will reduce or at least postpone the tax you owe. The only catch is that you usually need to get everything taken care of by December 31. As anyone who has ever filed taxes knows, tax season is in high gear from January to April. 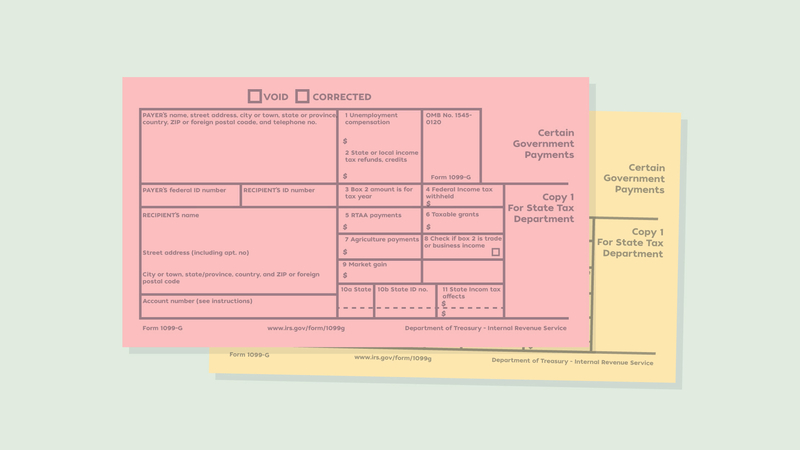 In January, you'll get a tax package from the IRS and start receiving the documents needed to complete your return. You'll get a W-2 wage statement from your employer, as well as a Form 1099 from each bank or financial institution that paid you interest, from any brokerage firm where you have earnings or losses, and from the corporations and mutual funds in which you own shares. As you get these documents, it's smart to file them in a place where you can find them easily. Income taxes were first introduced by the US government in 1862 to finance the Civil War. As April 15 approaches, you can use the information from your inventory to do some initial tax calculations. That will let you predict whether you're going to get a refund or will owe money. And remember that the earlier you file your return, the sooner you receive a refund, if you're owed one. April 15 is also your last opportunity to contribute to your Individual Retirement Account (IRA) for the previous year. After that, the contributions you make will count toward the next year. Contributions to Simplified Employee Pensions (SEPs) and Keogh plans are also due by April 15, unless you have an approved filing extension. After you file your return, it's time to review what you paid and to evaluate your long-term tax goals. Financial advisers suggest that you use your most recent tax return as a starting point to create a yearly tax plan. If you had high taxes on last year's return, you might want to consider what you could do to ease the tax strain for the current year. It's also a good way to check that you're taking advantage of all the deductions and credits for which you qualify. Don't overlook any tax saving you're entitled to. If you owed more than a few hundred dollars, you can consider having more tax withheld or increasing your estimated-tax payments. Or if you got a large refund, you might want to do the opposite—have less tax withheld or lower your estimated-tax payments. Keep in mind, too, that if you asked for a filing extension, your return is due on October 15. As the fall approaches, you should estimate your tax bill. Use your pay stubs to calculate your salary, check your most recent statements from your bank and other financial institutions for interest and dividend payments, and try to anticipate any other taxable income you might receive, such as a bonus or commissions. Then figure out how much has been withheld and any estimated taxes you've paid. Using last year's tax tables, figure out if you're on track to have prepaid at least 90% of the tax you're likely to owe or 100% of what you paid the previous year. If you're short, you may want to have more withheld for the rest of the year. Otherwise you may face an underpayment penalty. Be sure you understand the difference between tax-deferred and tax-exempt investments. And you can make some other major financial decisions. For instance, if you don't expect your tax rate to change for the next year, you could investigate postponing some of the income you expect until after the first of the year. That lets you postpone the tax on it as well. Or you might try to bunch certain expenses, such as medical bills that aren't covered by insurance, into one year so they total enough to deduct. If you know that you have large capital gains, you may want to sell off some investments at a loss to offset those gains. As you think about your year-long tax concerns, it's smart to keep the following things in mind. Try not to make investment decisions just to escape taxes. For instance, just because a municipal bond pays tax-free interest doesn't mean it will help you meet your financial goals. Be sure you understand the difference between tax-deferred and tax-exempt investments. Tax deferred means that you postpone paying taxes on investment earnings until you withdraw them, while tax exempt means you will not owe federal tax on the earnings. And finally, don't overlook any tax saving you're entitled to. Income taxes were first introduced by the US government in 1862 to finance the Civil War. They were repealed in 1872, but eventually reenacted under the 16th Amendment of the Constitution in 1913. You've heard people say that it's better to give than to receive. But what does that really mean? A checking account from CSD Credit Union is secure, convenient, and gives you total control. Your checking account will come with a debit card, ATM access, and security features. Type your name and email below, and a representative will help you get started.